A rocking chair covered front porch welcomes you home to this Beautiful One Story/F.R.O.G. 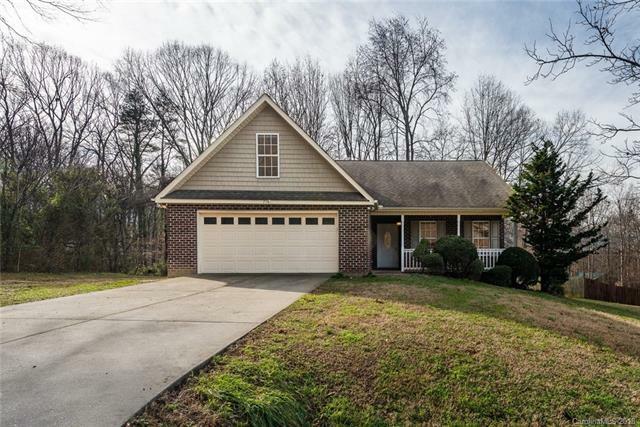 ("Finished Room Over Garage") partial brick 3 bedroom/2 bath residence with an open floorplan, vaulted ceilings, fireplace, spacious deck and 2 car garage. This property is a newer addition to the popular Dalwan Heights Neighborhood built in 2005 with good craftsmanship. No HOA! Previously a tenant occupied property for the past 5 years and is now ready for it's new owner. Conveniently located within minutes to shopping, dining, Historical Downtown Statesville, I-77, and I-40. And enough room to park your vacation RV on the side of the house.